Jared Unzipped: Brown Sugar Pie - The Fattest Recipe Ever? Americans are fat as hell... and recipes like this are why. 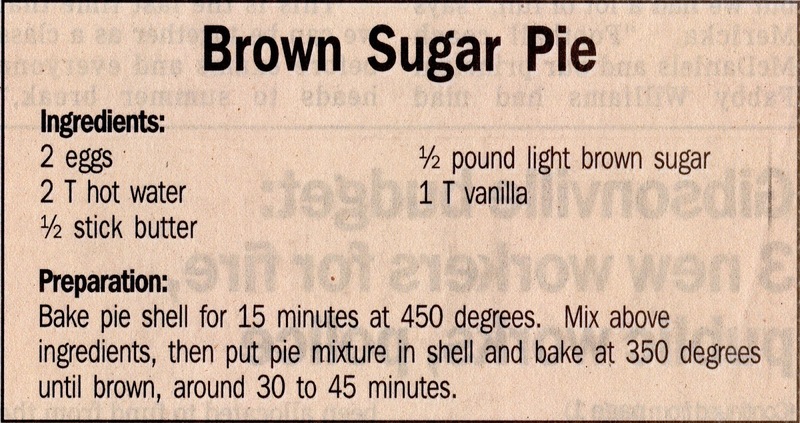 I found this recipe for a Brown Sugar Pie in my local newspaper today. Take a look at those ingredients and let it all soak in. My immediate response was "Where is the pie?" This is an entire dessert essentially filled with sugar and butter. No pecans. No walnuts. No cinnamon or cloves. No fruit of any kind. 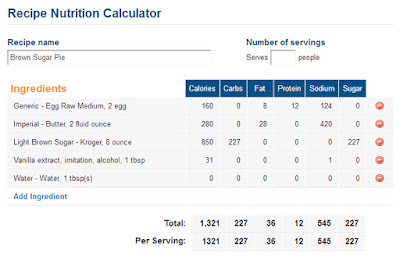 Just to prove to you how terrible this recipe is, here is the nutritional data. Mindblowing, right?! 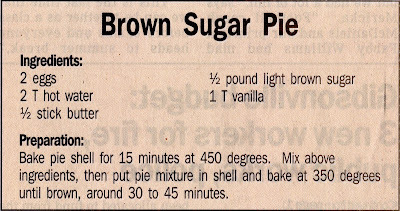 Brown Sugar Pie has a total of 1321 calories and 227 carbs (all of which come directly from sugar). You might as well stick your face in a sugar bowl and lick it out, because that would produce the same result. If you cut this "pie" into six slices, you'd be eating 37.8 carbs in one sitting. Keep in mind that you shouldn't eat more than 50 carbs in a day. By the time you swallow a slice down with a glass of milk, well... you've gone over your carb limit plus some. Most people would probably cut this dish into four slices. Oh, who am I kidding; this is America. They'd just eat the whole damn thing! 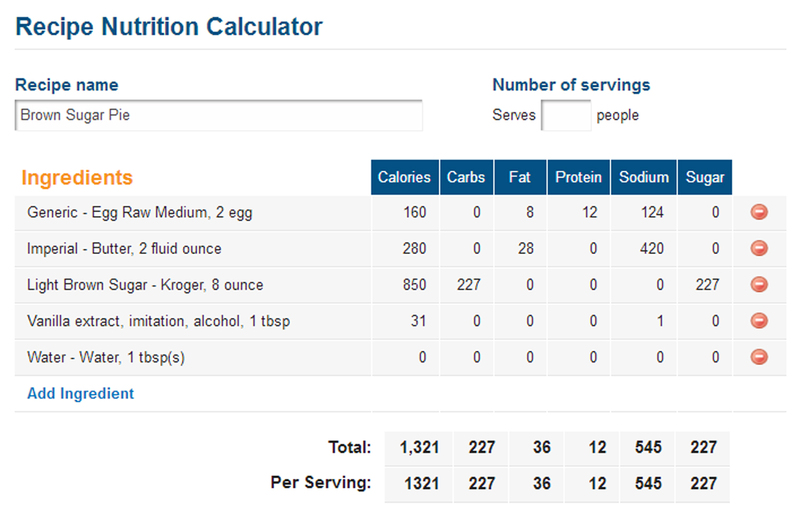 Notice I left the pie shell out of the nutritional data. Why? Because there was no point. The pie shell just adds more carbs and more calories. I think you get the picture. Crappy recipes like this, passed off as 'good southern cooking', are why we're bursting at the seems with fat. Instead of eating some terrible slop like Brown Sugar Pie, why not bake an apple pie or some pumpkin pie? Sure, no pie is outright good for you, but at least other options are somewhat better for you. This, though? It's just a pie pan filled with sugar. Yuck.